It’s a great time to buy your 2017 Land Rover Discovery at Land Rover Colorado Springs! We are currently running a special on most of our 2017 Land Rover Discovery inventory. You could qualify for 1.9% APR for 60 months on this luxurious and capable SUV. One example of our Discovery inventory is the 2017 Land Rover Discovery HSE pictured above. Equipped with a 3.0L V6 diesel engine, you should get an estimated 21 MPG city/26 MPG highway fuel economy! It has seating for seven, 7,716 maximum trailering weight, and a ZF 8-speed automatic transmission. You can also look forward to many great features including heated washer jets, blind spot monitor with reverse traffic detection, traffic sign recognition intelligent speed limiter, surround camera system, cold climate package, and so much more! 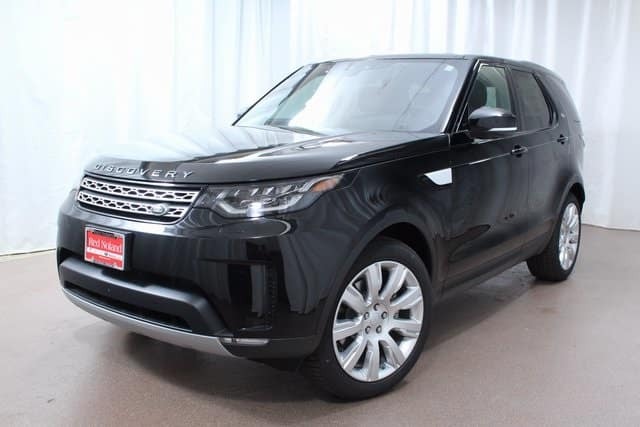 So if it’s time for a new luxury vehicle, stop into Land Rover Colorado Springs today to check out this 2017 Land Rover Discovery! Take a test drive and experience not only the impressive performance but also the many exciting innovative features that will make each of your drives amazing!